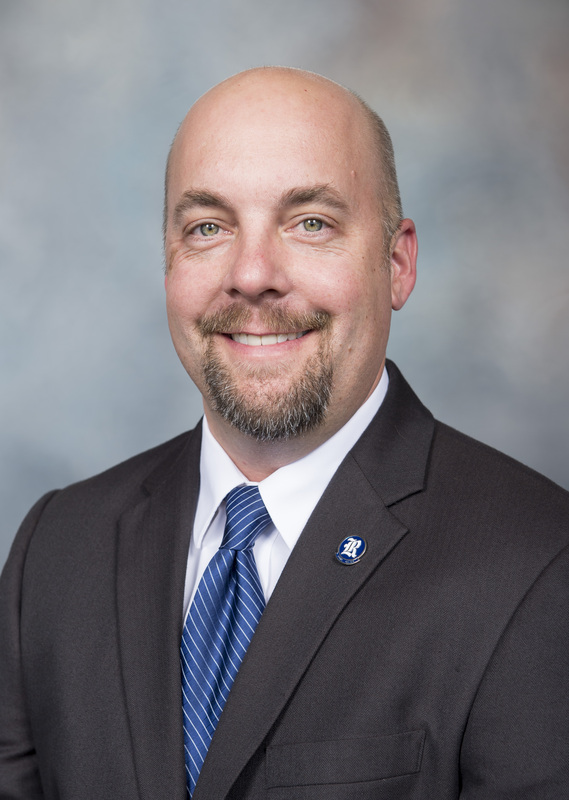 San Jose, Calif. — San Jose State University is pleased to announce Josh Thiel has been named deputy athletics director for athletics advancement, marking the successful culmination of a national search to fill this new position. An accomplished fundraising professional and seasoned administrator with two decades of successive experience in higher education, Thiel will lead a new University Advancement team dedicated to supporting SJSU Athletics. His first day heading the athletics advancement unit will be Jan. 29. Thiel brings to San Jose State a successful record as senior associate athletics director and chief development officer at Rice University, where he and his team completed $41.5 million in fundraising for capital projects including a football operations and student-athlete training center, locker and team rooms for six sports, a grandstand and team space for track, and a new batting cage and hospitality area for baseball. Previously, Thiel served as an associate development director for Stanford Athletics and the Stanford University School of Medicine. Reporting to the vice president for University Advancement, with a dotted-line reporting relationship to the director of athletics, Thiel will oversee collaborations with athletics and advancement leadership on major gifts, special events and other external functions. In addition, he and his team will guide athletics-focused annual giving and related efforts currently housed in the Spartan Foundation, the Order of Sparta and the Quarterback Club. Completed $41.5 million in fundraising for capital projects including a football operations and student-athlete training center, locker and team rooms for six sports, a grandstand and team space for track, and a new batting cage and hospitality area for baseball. Doubled cash received to $14.75 million during his first year as chief development officer. Assisted with solicitation plan for $12 million gift, the largest in Rice Athletics history. Increased the number of donors by 78 percent in three years, including a 110 percent increase in annual fund donors. At Stanford, Thiel fostered relationships that resulted in a number of firsts for the medical school and for athletics. Served as a development liaison for football, men’s basketball, baseball, men’s and women’s soccer, softball, women’s lacrosse, synchronized swimming, men’s and women’s volleyball, men’s and women’s water polo, and wrestling. Closed $750,000 in gifts for the university’s first two student-athlete summer school scholarships. Secured the lead gift for a $700,000 wrestling team room renovation. Raised $3 million for the medical school’s Li Ka Shing Center for Learning and Knowledge. By accepting this new role at San Jose State, Thiel will be returning to the California State University system. He received a bachelor’s in business administration-finance from California State University, Fullerton, in 1996, and a master’s of sports management from the University of San Francisco in 1999. San Jose State University — Named Josh Thiel deputy director of athletics for athletics advancement. The founding campus of the 23-campus California State University system, San José State provides a comprehensive university education, granting bachelor’s, master’s and doctoral degrees in 250 areas of study – offered through its eight colleges. With more than 35,000 students and nearly 4,370 employees, San José State University continues to be an essential partner in the economic, cultural and social development of Silicon Valley and the state, annually contributing more than 7,000 graduates to the workforce. The university is immensely proud of the accomplishments of its more than 220,000 alumni, 60 percent of whom live and work in the Bay Area. San Jose State University’s athletics program sponsors 20 NCAA Division I sports (7 men’s and 13 women’s) and offers an intercollegiate athletics experience to at least 450 student-athletes annually. The Spartans compete in the Football Bowl Subdivision (FBS), the highest level of college football. San Jose State is a member of the Mountain West — a conference of 12 football-playing schools in the Pacific, Mountain and Hawaiian time zones.